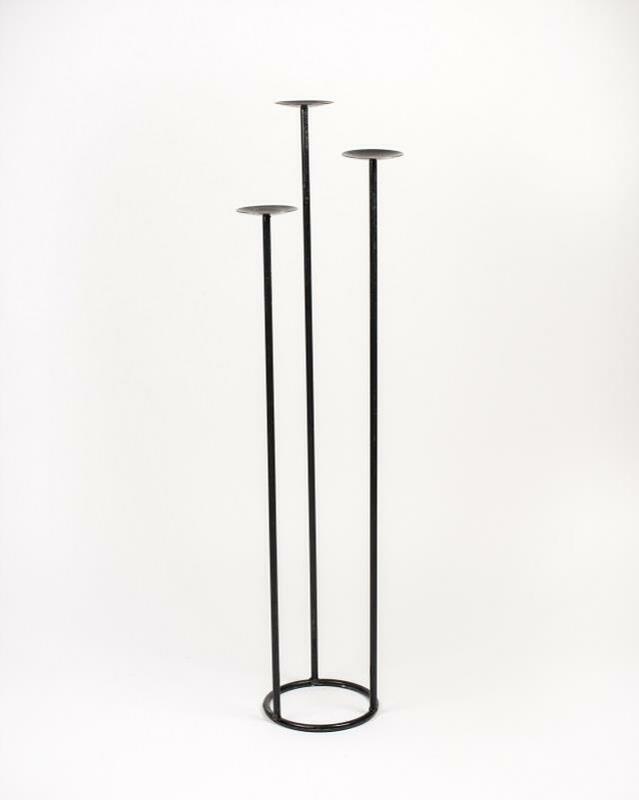 This black metal stand is 42" tall and holds 3 pillar candles. It has an 8" round base with three spires of varying heights that are topped with pillar bases. * Please call us with any questions about our stand candle 3lt rentals in Columbia and Jefferson City MO.